“The urban-rural split this year is larger than anything we’ve ever seen,” said Scott Reed, a political strategist for the U.S. Chamber of Commerce. 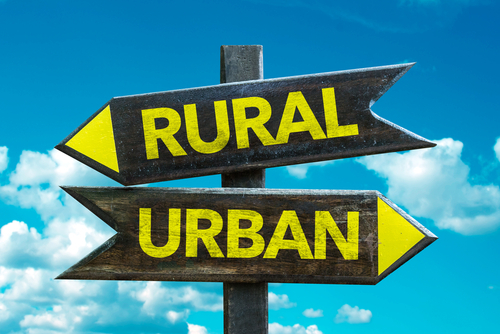 There are few divides in the United States greater than that between rural and urban places. Town and country represent not just the poles of the nation’s two political parties, but also different economic realities that are transforming the 2016 presidential election. Cities are trending Democratic and are on an upward economic swing, with growing populations and rising property values. Rural areas are increasingly Republican, shedding population and, as commodity and energy prices drop, suffering economically. While plenty of cities still struggle with endemic poverty and joblessness, a report from the Washington-based Economic Innovation Group found that half of new business growth in the past four years has been concentrated in 20 populous counties.